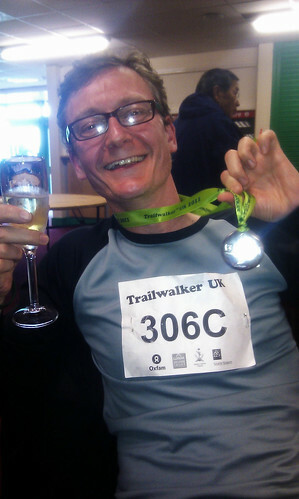 The Trailwalker event eventually came on the weekend of the 16th and 17th July after months of training walks. This post gives a write-up of the event and allows me to extend another heartfelt thank you to all our generous sponsors who have contributed to the great causes we were fundraising for. 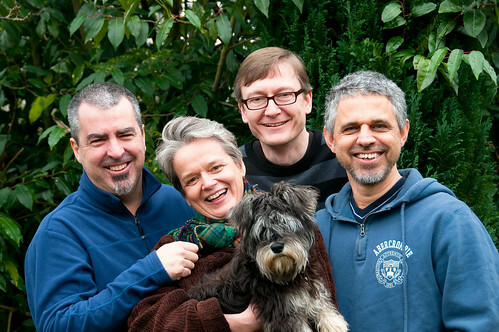 At the time of writing we have raised a splendid £2873 (or approx. £3482 with Gift Aid factored in). This is tremendous news as we were originally aiming for £1500. We drove to Petersfield the day before the start to register the team, get our team numbers and RFID tags to ensure we were spotted going into each checkpoint and to get the pasta supper prepared by the Gurkhas. We saw a steady stream of walkers turning up and registering, many of whom were setting up tents to camp out for the night. That sort of thing wasn’t for us – we retired to a local hotel to get a good night’s sleep. Or at least that was the plan. I had been stuck with a particularly stubborn head cold since the Monday afternoon and was still suffering from it on the Friday evening. This made me rather unhappy about how I’d fare on the walk ahead, given how tired I’d been all week. Anyway, after an appalling effort at getting to sleep I managed another 6 hour night to wake up to a clean bill of health – the cold had gone, and I was full of cheer and chirpiness! The whole team was buzzing with anticipation and excitement at the challenge ahead. Unfortunately the forecast for the weekend had been grim all week. Mostly suggesting rain and heavy rain for the duration. 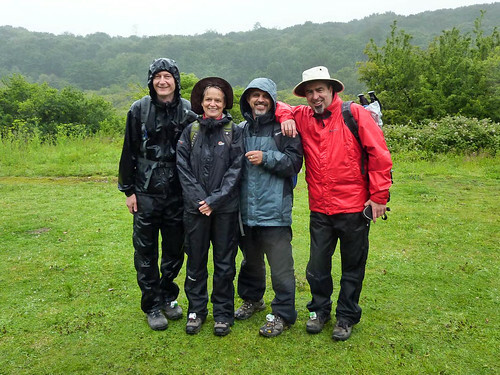 Luckily things had slightly improved in the forecast by that morning, with rain and heavy rain pencilled in for the first 8 hours of the walk, and then it mostly clearing up. The start of the event at the Queen Elizabeth Country Park had us in waterproofs as there was light rain coming down. 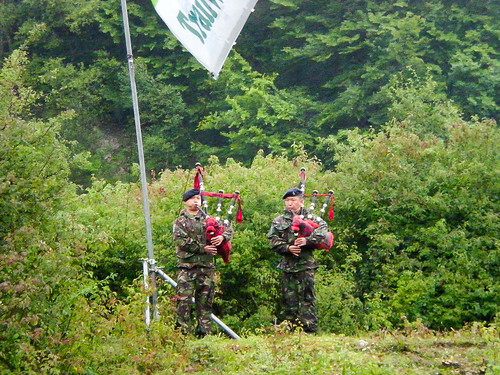 At a couple of minutes past our 8:30am start time a pair of Gurkha pipers piped us over the start line as the rain started to settle in for the day. 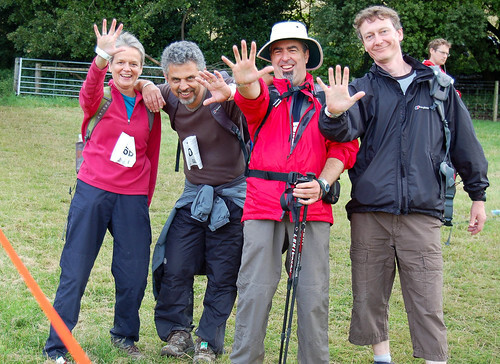 Other walkers had set off at 6am and 7:30am and the last bunch were to set off at 10am. 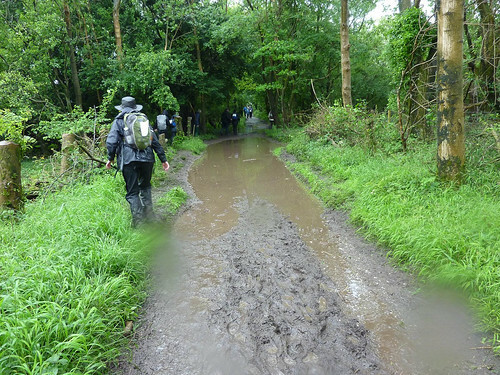 After several torrential downpours the trails were slippery, sloppy, gloopy, muddy and very puddly! Alas my allegedly waterproof boots can only handle so much water and before long I had the familiar feeling of squelching along in soaked walking socks. The 100km route has 10 checkpoints in it, all roughly 10km apart except the last 2. These give us a chance to get additional supplies of food, refill water bottles, attend to foot injuries, get a cup of tea and have a little sit down. Our diligent support crew were there at each checkpoint, bar checkpoints 1 and 10. We’d agreed not to stop at checkpoint 1, thanks to it being so close to the start: it was extremely likely that all the walkers who set off at our time would still be bunched quite close together making the checkpoint extremely busy, and that proved to be the case. It didn’t take long after that for us all to spread out along the trails. In fact we were surprised how quickly the time came when on some trails we couldn’t see anyone else in front or behind. Checkpoint 10 was one that had no accessibility to cars, and just had a water refill station and a scanner to check-in each walker going through it. The ups and downs of the first 49km came and went, including some welcome shoulder massages from Carol in the support crew at checkpoint 4, and then we got to checkpoint 5 around 11 hours in. 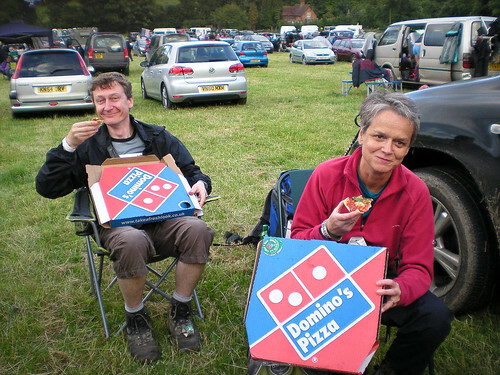 This was when we found out how awesome our support crew was, as they’d found a pizza place and picked up a couple of pizzas for us. *Such* a sight for sore eyes! We all really needed that! And that was the last daylight checkpoint of the Saturday. We then had 3 checkpoints through the night section. Walking for a long distance is night is quite demoralising, thanks to not being able to see any landmarks or much at all. We all used head torches to see where we were walking, though some were brighter than others and some didn’t really illuminate the ground at all well. Throughout the entire event all four of us suffered and had a low period. I came first in the list and was in big trouble by the time we hit checkpoint 6. The hours and hours of rain from earlier in the day had been too great an adversary for the waterproofing on my walking boots. So for some hours I’d been walking with very waterlogged socks, and these were sopping wet. I’d experienced this waterproof failure in a wet training walk and tried adding lots more waterproofing, but apparently I didn’t do it well enough. A few hours walking in squelching wet socks in wet boots is actually ok. The water cuts out any chance of heat friction and so reduces likelihood of blisters. However I discovered there’s a limit to this positive aspect and after a certain threshold of time the wet boots/socks/feet combo is not good. Indeed my feet got wrecked. They were very painful as we got into checkpoint 6. At this point the rain had stopped for several hours so I switched to running shoes and new socks after spending some time drying off my feet and adding a whole set of blister plasters to try and stop things on my feet getting worse. During this checkpoint I also got very cold indeed, which was a bit concerning, so I added some layers and we pressed on. Unfortunately I forgot to take my walking poles with me, which would have helped take some pressure off my poor soles. 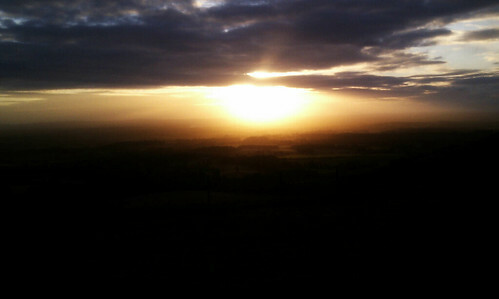 When I realised this shortly after setting off it did nothing to enhance my mood. From checkpoint 6 to 7 I continued wincing pretty much every step as we slogged it out through the darkness. The lack of light and concentration on not tripping up over any unexpected obstacles all seemed to kill the conversation somewhat, and time dragged until we eventually make it to checkpoint 7 – 70 km in. We’d been warned about checkpoint 7. We were told that since the Gurkhas put on a hot meal, what happens to a lot of people is that they sit down, get some hot food in them and a hot drink… and then limbs start seizing up and the ability to will yourself on for the final third (or a little less) of the challenge is difficult to summon. So we worked on the basis of it being a psychological barrier. However it turned out to be more than that, given that as we got there we saw one person on the floor surrounded by 4 medics, people wrapped in heat blankets and varying degrees of ferocious vomiting going on. Even our esteemed team leader fell foul of physical symptoms shortly after arriving, through suspected dehydration, leading to massive giddiness, lots of nausea and some quite concerning amount of sweating. However, hydration mixture, a neck massage, and a chill for half an hour had him back on his feet and raring to go. With food and a nice hot tea inside me, and now equipped with my walking poles, I was back in the game and feeling pretty good, or feeling brilliant compared to how I felt at checkpoint 6. It was a slow trek to checkpoint 8, to cater for some very sore knees and to ensure team leader Jim didn’t overdo it after his bad spell. Our feet were given a new lease of life by Carol’s foot massages, which probably deserve a bravery award given the state of the team’s feet by this time. 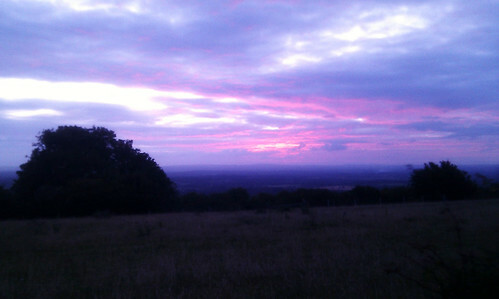 Checkpoint 8 was dark when we arrived, but we saw a hint of the coming dawn as we left. Dawn broke soon after we left checkpoint 8 at around 5am. It had been a long time since I’ve been up early enough to see the sun rise, and we all enjoyed seeing the magic of daylight appearing on the horizon. This section leading to checkpoint 9 was the longest section between checkpoints at not far short of 14 km. We all found it hard going, especially after leaving the South Downs Way and seemed to have an endless path filled with *lots* of mud. 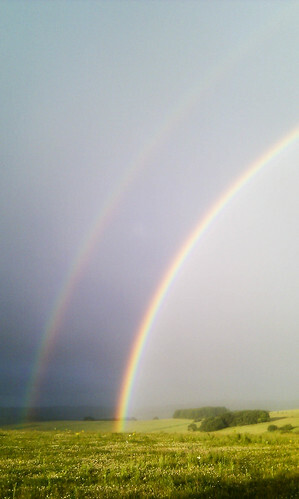 An hour or so after dawn the rainclouds started amassing again, and with rain rapidly heading our way we got see a tremendous double rainbow. And then we got another soaking. After our last little sit down at checkpoint 9 that was it until the finish – no more support crew, no more sit downs. Checkpoint 10 was just a timing station and water stop. However the sections from checkpoint 9 to 10 and from 10 to the finish were appreciably shorter than all the rest, being 4km and just under 6km respectively. Eventually we looped back round to the edge of Brighton and the race course was visible in the distance. 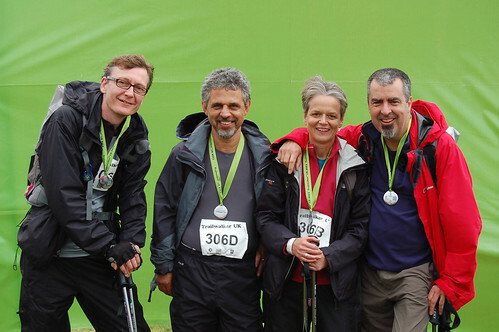 For some of the team the last few kilometres were perhaps the most difficult, being so close to the end and yet still needing to be walked on very sore feet and with very painful knees. The final kilometre was on the edge of the race track and we could see the finish line with people waiting to cheer us in. And then, eventually, after 26 hours and 38 minutes had elapsed, 100 km (62.5 miles) been walked and approximately 9,200 kCals burnt we got to the finish line and were piped in by more Gurkha bagpipers. We were all really proud of ourselves, having made it to the end, stayed as a team throughout, and not started bickering between ourselves as time drew on and tiredness grew and patience wore thin. …perhaps most importantly, a glass of champagne! Out of the male over-40 veterans, Jim, Gordon and I finished 75th to 77th out of the 114 who finished (185 were supposed to start, but only 159 actually did). Out of the female over-40 veterans, Elaine stormed in at position 11 out of the 40 who finished (13 didn’t start) despite suffering from a cold. This is the route we travelled. The velocity graph makes it easy to see where the checkpoints were, and the altitude graph emphasises the fact that the South Downs Way is very hilly terrain. The provided maps suggest the total climb is 2,500m and the total descent is 2,400m. To put this in context, the combined height of Ben Nevis and Snowdon is 2,429m. 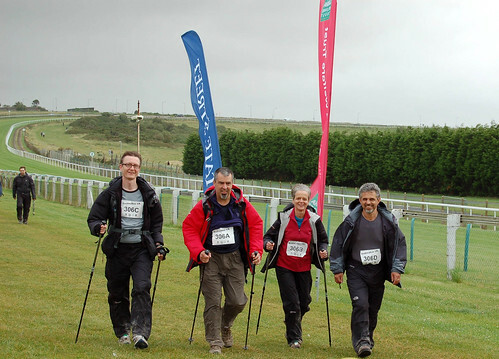 The full set of pictures that various members of the team, walkers and support, managed to take over the duration of the event can be seen on my Flickr page. This includes at least one snapped at each checkpoint.